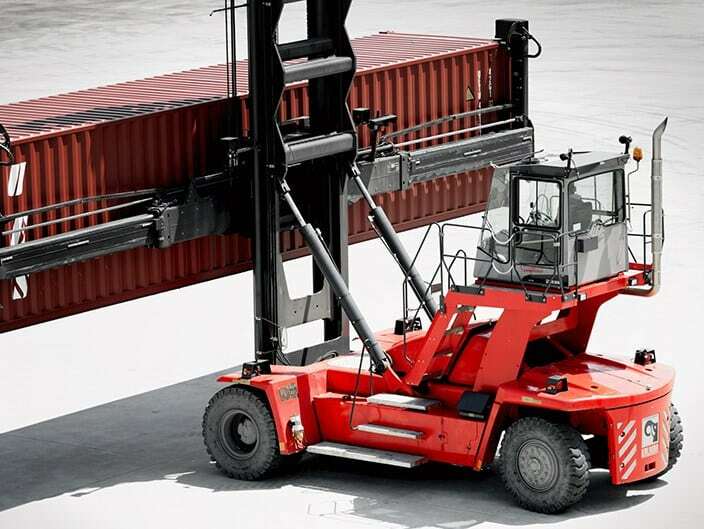 Kalmar’s DCT range of Empty Container Handlers are available with Side Spreaders or Hook configurations for single or double stacking. 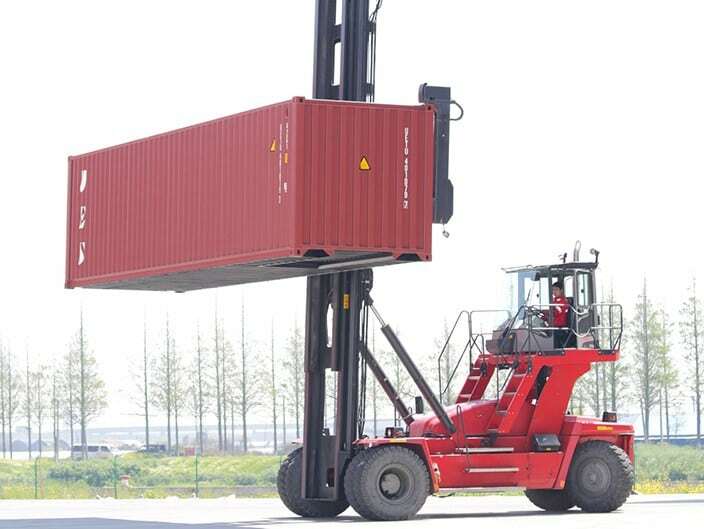 These units come in 7,8,9 and 10 ton capacities with stacking capabilities up to 8 + 1 containers high. 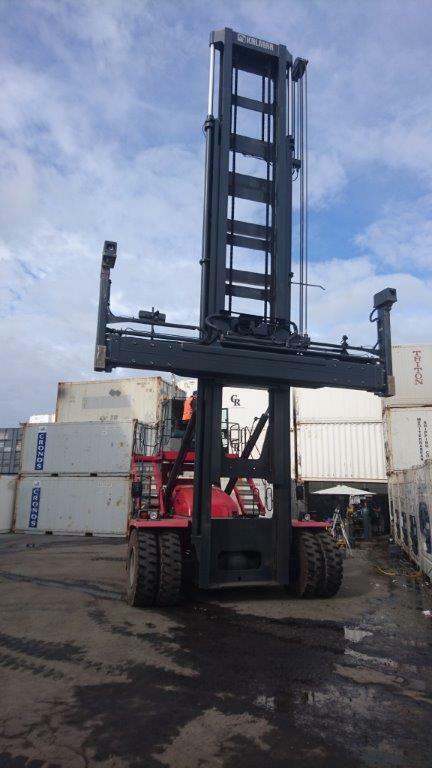 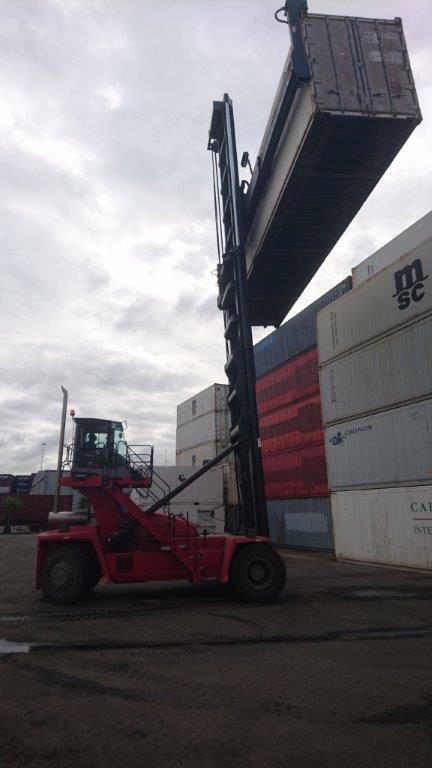 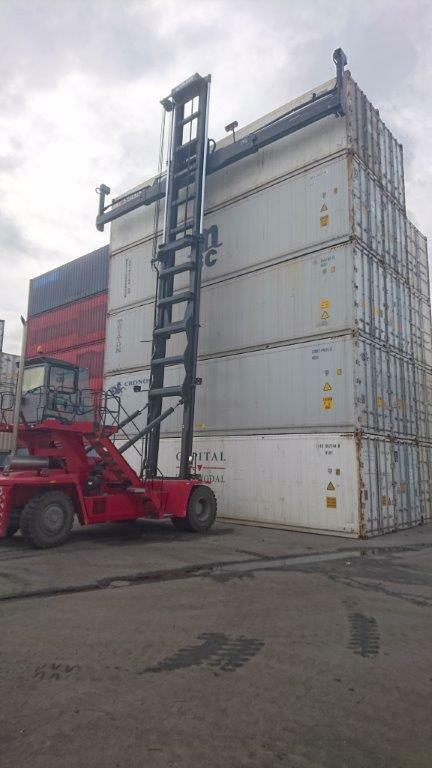 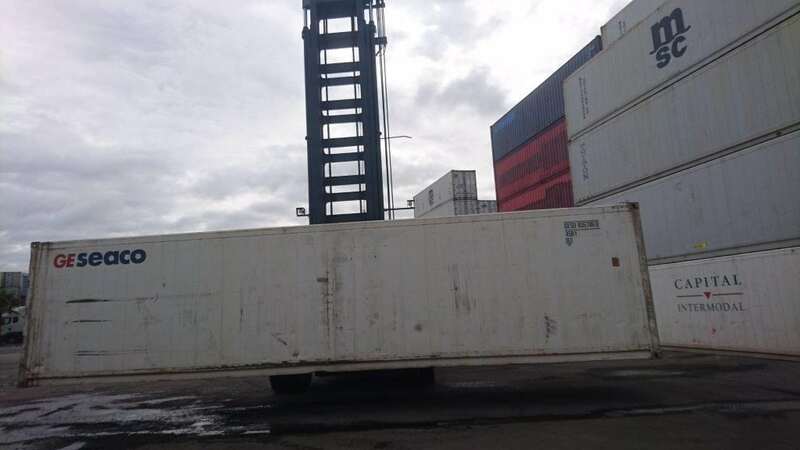 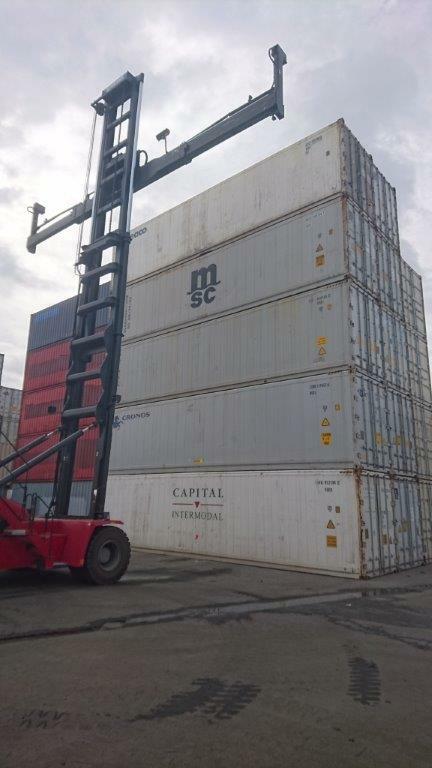 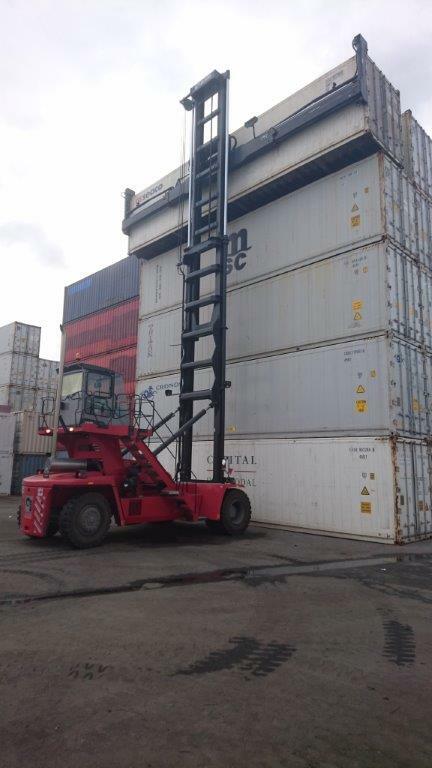 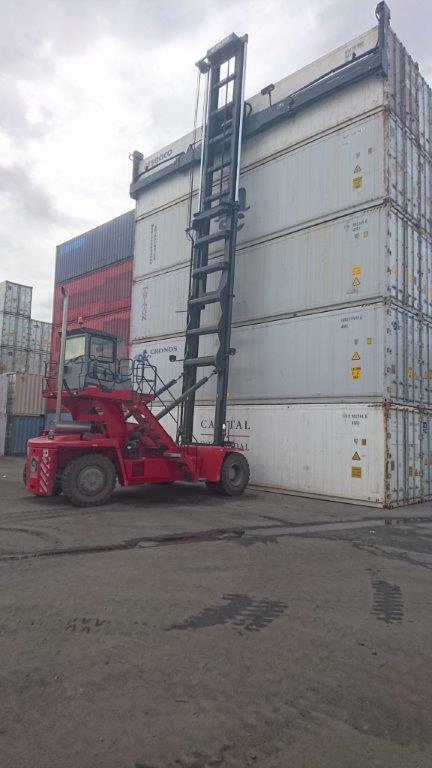 LiftRite recently delivered a DCT90-45E7 to a Fremantle based customer for moving empty containers around their shipping yard. 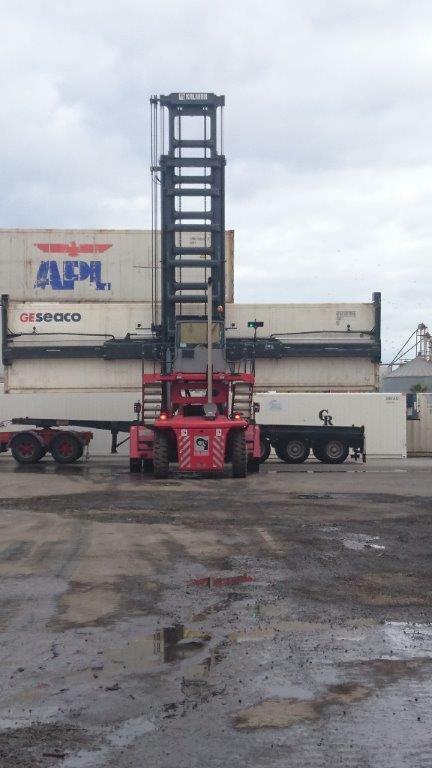 This unit was the first of this specification machine into Australia with a 9.0 ton capacity stacking 7 high. 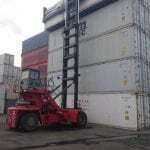 The DCT range of Empty Container Handlers is a fast, efficient and safe way to move containers. 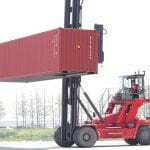 It’s build quality and componentry is typical Kalmar with attention to detail everywhere you look. 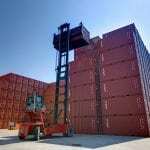 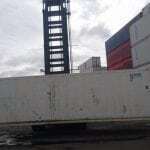 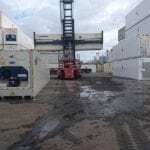 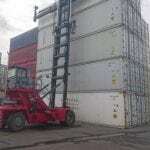 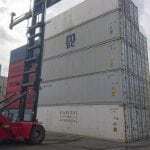 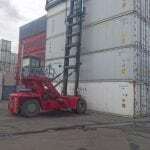 Operators have excellent contol over the load at all times and visibility of the container is excellent. 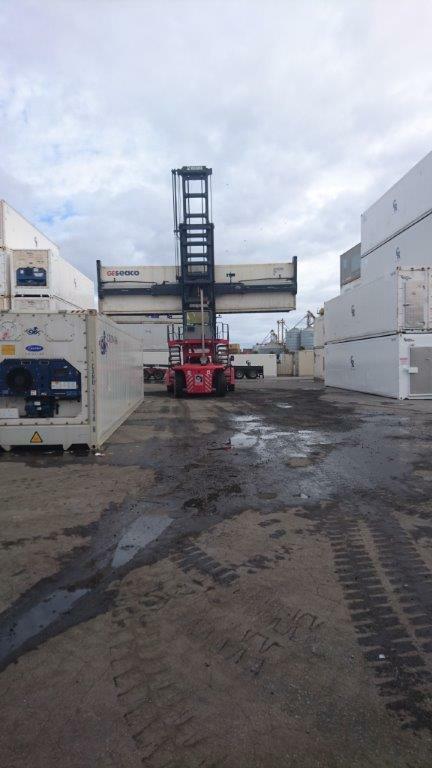 These units offer low operating costs and easy maintenance, the Operators cabin is designed with comfort in mind to keep your people highly productive. 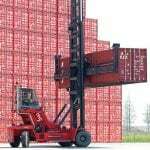 Kalmar have solutions for most container and heavy handling tasks all come standard with Kalmar Quality and many can be equipped with SOLAS Weighing solutions, Kalmar K-Motion providing exceptional fuel efficiency and SmartFleet for monitoring you fleet movements and productivity. 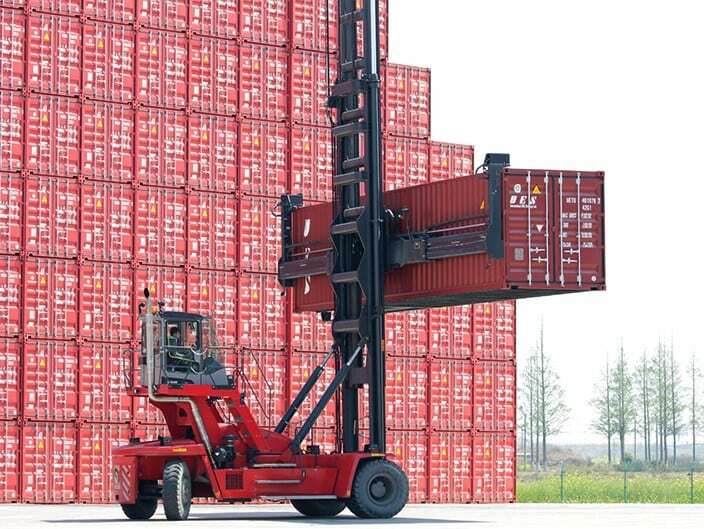 With almost 25% of container moves globally handled using Kalmar Equipment – Talk to our Team about the Kalmar benefits. LiftRite are the Western Australian Dealer for Kalmar Solutions. 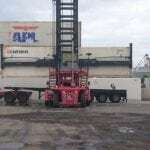 Based in Canning Vale we offer hire, sales, parts and service support with factory trained Technicians, 24 / 7 Technical Support and a state wide service network. 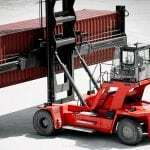 Kalmar introduces it’s new range of ECH with the DCG80-100 machines. 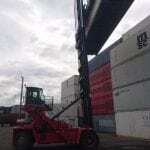 For more information talk to the LiftRite Team about all of your container handling solutions.